Web Design with Google Sites: How Much Should a Google Sites Website Cost? How Much Should a Google Sites Website Cost? When a field such as Google Sites web design is brand new it is difficult for clients, designers, and other interested parties to approach the cost. After all, Google Sites is free and the hosting is free. So what are you paying for with a Google Sites website? How much is it really worth? KWD - Kirksville Web Design doesn't charge you nearly the going rate. Should the cost of a Google Site be as high as a typical website? No, not really. 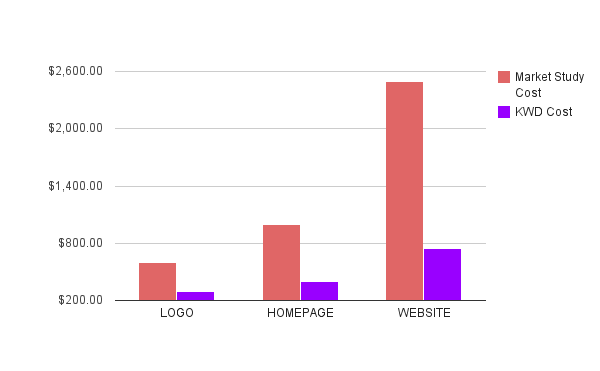 There is a lot less work that must be done to a Google Sites website because it is more efficient for the designer. I can't speak for all Google Sites designers but here are the factors that dictate our cost. So besides a couple stock photos for $30 and a domain for $10 a year, the cost is dictated by TIME. Being a stickler for good design, graphic design time and the consequential revisions is the bulk of my time. I would say 75%. Finding and coding a new gadget can take me a couple hours (and pulling out my hair) - 20%. Everything else 5%, I would say. How much is a Google Sites website going to cost me? If you are paying a designer less than a $300, get references and samples of their work for quality assurance. If you are paying more than say $1,000, I would get quotes from several designers - don't get swindled into thinking Google Sites is equal to building from scratch. There really isn't much maintenance to speak of for a Google Site, and as said before, no hosting fees. Kirksville Web Design doesn't use contracts, though we tried it. I think its much more liberating for clients not to have a web designer on their payroll. However, if your designer is going to stay engaged with your website, that sounds entirely reasonable. We have an hourly fee that we work under, $50 an hour. And I think we move very efficiently during that. Google site is a really easy to use tool, I have created several websites with them, but it needs better template control, in my opinion. website cost calculator you have mentioned web design costs in your article, so I thought i'd share this link to a site calculator which uses slider controls to fiddle with the values. Hope someone finds this helpful.